Sometimes I notice tiny things, and wonder what they’re about. Have you noticed that some bus stops have a small colourful stripy bit of tape? Intriguingly, many of them seem to match the colours of the logo of the bus operator for that route – even if the buses themselves are now all in the standard PTV orange livery. They’re timing points. Spots along the route where the bus driver needs to check their timetable and may need to wait if they’re early. Many of them seem to be at major stops such as railway stations, though some are not. This raises another topic: with many level crossings being removed, which cuts delays along bus routes (particularly highly variable, unpredictable delays), are bus timetables being re-written? It appears not. A few weeks ago I caught a southbound route 626 bus at Carnegie station that arrived at the stop almost five minutes early. And that was in the PM peak. The 626 timetable still allows 8 minutes for the 850 metres between Chestnut Street/Dandenong Road (the stop before the station) and Koornang/Neerim Roads (the stop after the station). Its sister route 623 is the same. You could (briskly) walk it in eight minutes. Back when the level crossing was there, it probably made sense to allow that much time. Not so much now. 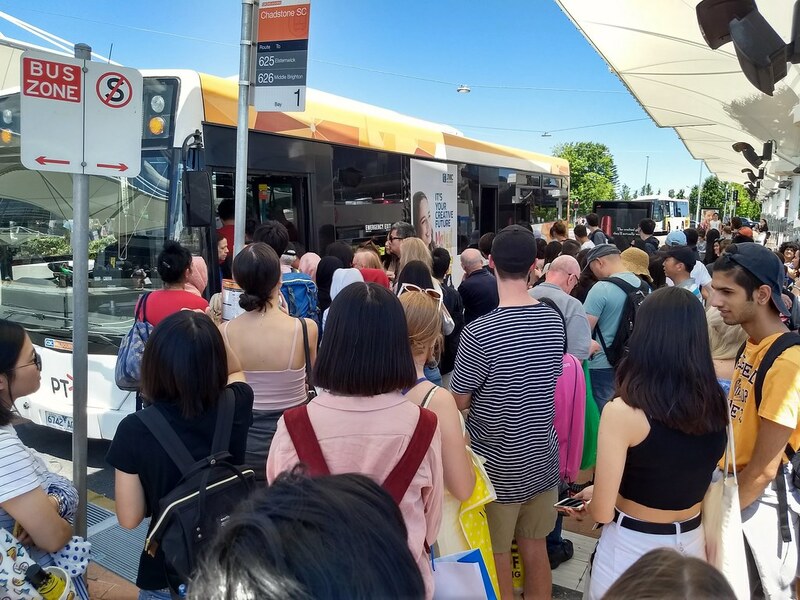 As level crossing removals proceed across Melbourne, authorities should be reviewing bus timetables and taking the reduced delays into account. After all, speeding up street-based public transport is one of the key non-motorist benefits of grade separation. 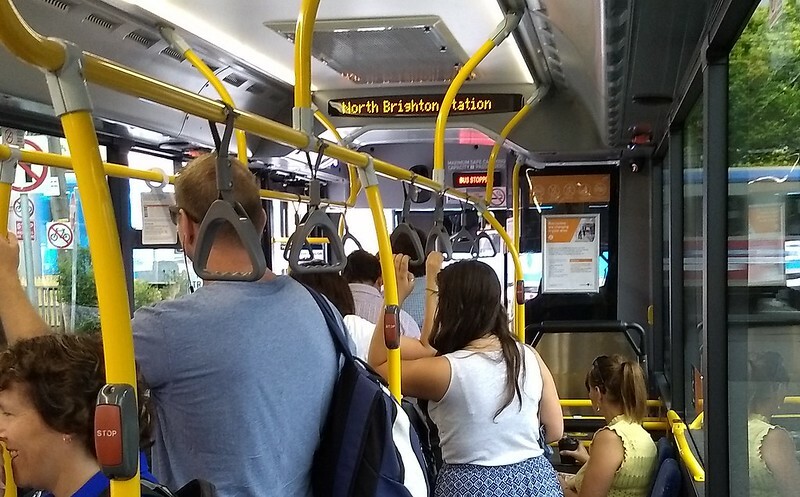 Timetable tweaks may not be enough to run extra services with the same buses, but they can at least help cut unnecessary delays – particularly for bus passengers not boarding or alighting at those timing points. The data provides a glimpse of something not normally in the public eye. Regular bus users know that some routes suffer greatly from lateness, but the statistics aren’t usually published. With Timna’s permission I’ve dug around in the data a bit more to see what other insights can be found. What’s in the data: Punctuality to within 5 minutes for Transdev routes from 2013 to 2018. What it doesn’t show is service delivery, ie cancellations and short run services, which also influence how reliable and usable bus services can be. There are also operator-wide average figures for Ventura and Dynson from 2015 to 2018. 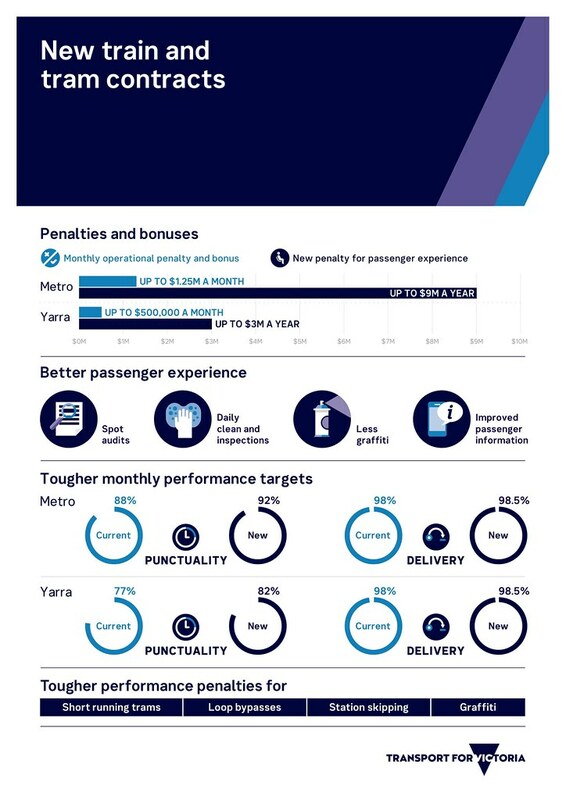 The data had a route-by-route breakdown of Transdev’s punctuality since September 2013, from shortly after they started operations after winning their contract and taking over routes formerly run by Ventura and Melbourne Bus Link. The worst three are the long cross-suburban routes, running via the CBD, with almost no bus priority measures along the route. 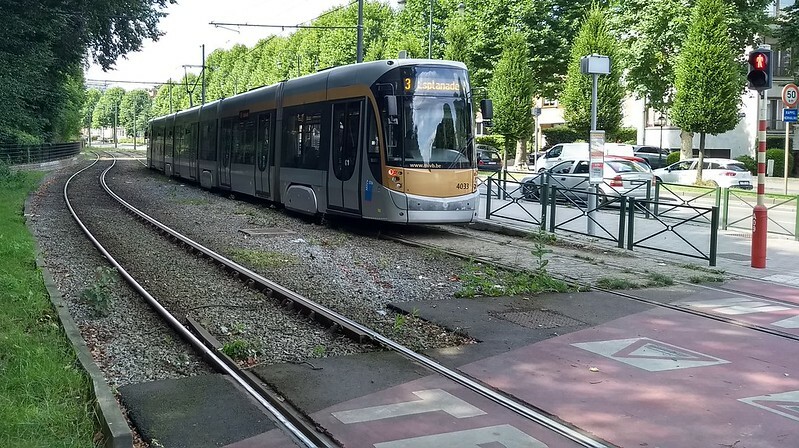 Just in the past few months (after the data ends), these have been split into two, theoretically temporarily, to avoid even worse problems while the metro tunnel is being built… so punctuality is likely to be improving now. 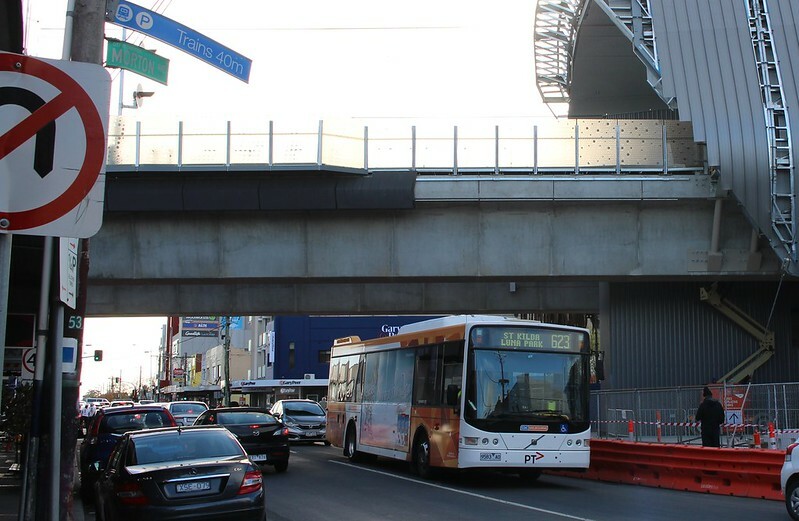 Rounding out the worst five are the 232, which improved in 2014 when the Port Melbourne diversion was removed – and route 350. Both these routes also serve the CBD. In fact 8 out of the 10 worst routes serve the CBD – no surprise perhaps, since that’s where traffic is likely to be at its worst. Some of Transdev’s routes benefited from timetable changes in 2014, and there was a more thorough change in 2016. These changes mean there has been improvement, but looking at just the worst average punctuality for 2018 (January to June), the same five routes feature, with route 232 is now the worst, with 64.23% of buses on time. What Transdev wasn’t able to do was introduce its “greenfields” timetable, which would have made wide-ranging changes, including splitting the long orbital Smartbuses (and some of the cross-city routes) up into more manageable, logical routes. That proposal would have overcome a lot of the punctuality and crowding issues, but it also would have cut services in some areas, because it was basically a reshuffle of existing resources, where ultimately, more are needed. Labor rejected the plan when they came into office in late-2014. And the most punctual Transdev routes? Unsurprisingly they’re all in the middle and outer suburbs, and mostly relatively short routes of under 10 km. Somewhere in the middle of the pack are the long orbital Smartbus routes 901, 902 and 903 – they do better than one might expect because they have plenty of fat in their timetables at various points along the route. All of the Smartbuses benefit from long operating hours and relatively frequent off-peak services, which can help bring up the average punctuality compared to routes that run most or all of their services in peak hour. As you can see, punctuality generally improves for a month in January, as traffic (and patronage) is lighter than usual, despite frequent construction blitzes. 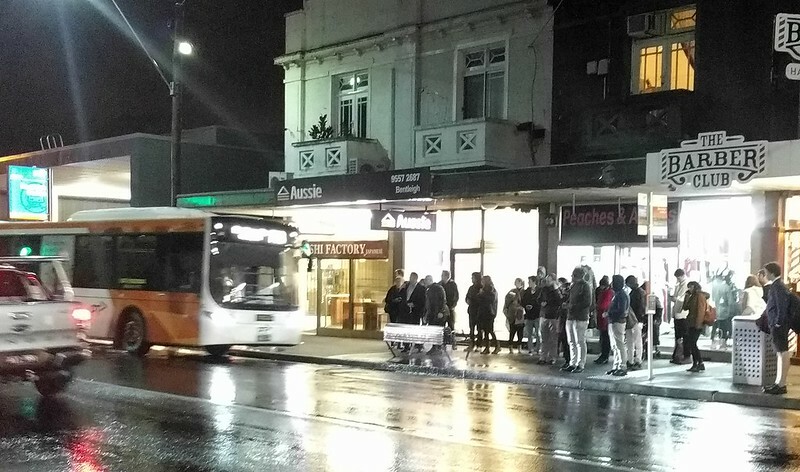 Ventura consistently has fewer buses running late than Transdev or Dysons, but it’s worth noting that Ventura run routes predominantly in the middle and outer suburbs, with none of the inner-city or CBD services which tend to suffer worst from traffic congestion. Transdev was the worst of the three during 2015, but lifted its game in mid-2016 with timetable changes across most routes. Since then they have on average seen fewer delays than Dysons most months. 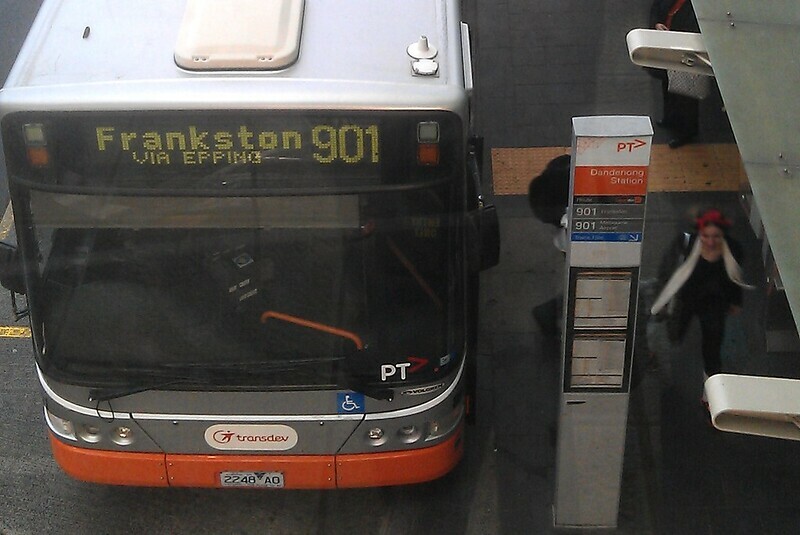 So on this measure at least, Transdev has been improving. Remember: this is punctuality only. 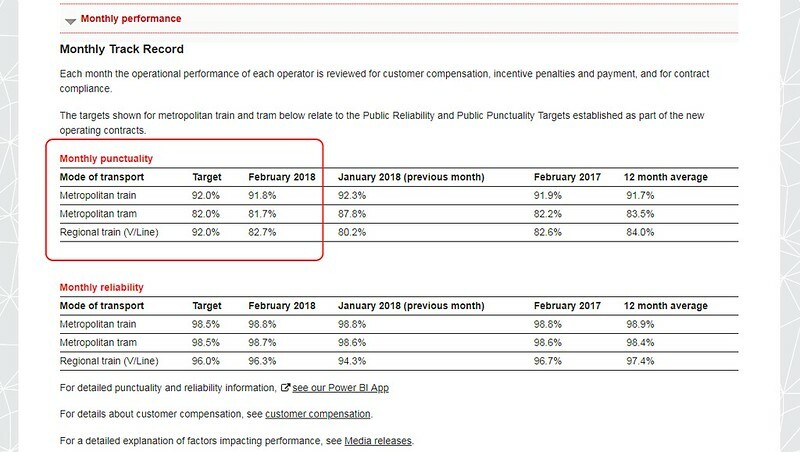 The figures don’t measure cancellations, short running, cleanliness, buses catching fire or taken off the road by the safety regulator, or any of those other things for which Transdev Melbourne is notorious. On Saturday the State Government announced that 100 of Transdev’s fleet (which is owned by the government) would be replaced by new buses. This should help reliability (provided the operator actually maintains them properly), but may not help with punctuality and other issues such as crowding. It was also announced that Transdev’s contract would end in 2021 — only one year of the 3 year option is being exercised. Upgrading buses is a good idea. Hopefully it’ll bring better reliability. Better passenger information would be welcome. Perhaps they should use the opportunity to start a transition to electric buses, particularly for inner-city routes. And yes, timetable adjustments where warranted – but this should be the last resort, not (as now) the default action when buses are regularly running late. 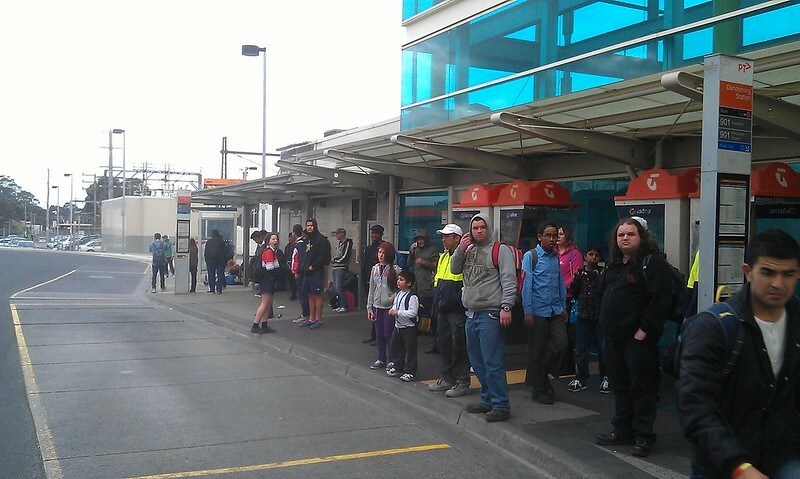 Adjusting the timetable just means making those delays permanent, not actually fixing them. 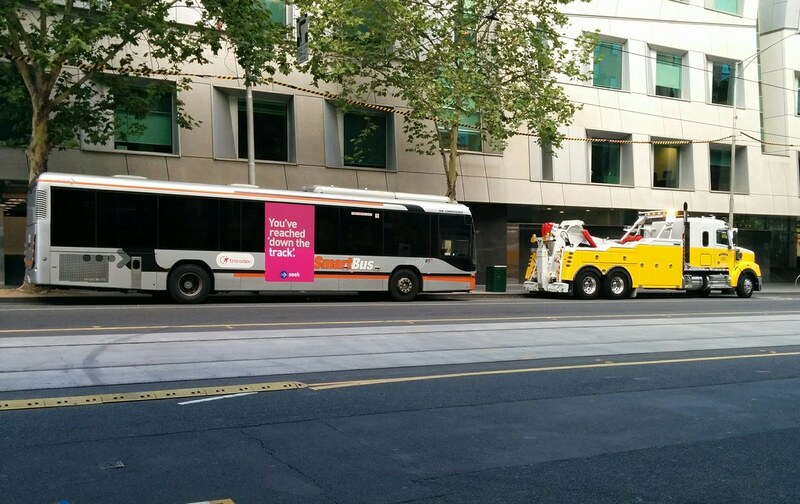 Buses serve many parts of Melbourne that don’t have trams and trains, and may never get them. It’s high time the government treated them seriously. Note: The overall figures for Transdev have been calculated by using the average of the route punctuality figures. This is not the same as the average across all Transdev services, as some routes have a lot more services than others. See all the data here. Got further observations? Leave a comment! There are undoubted challenges to writing information that has to fit into a limited space. Here’s one I noticed recently where perhaps they haven’t got the balance quite right. 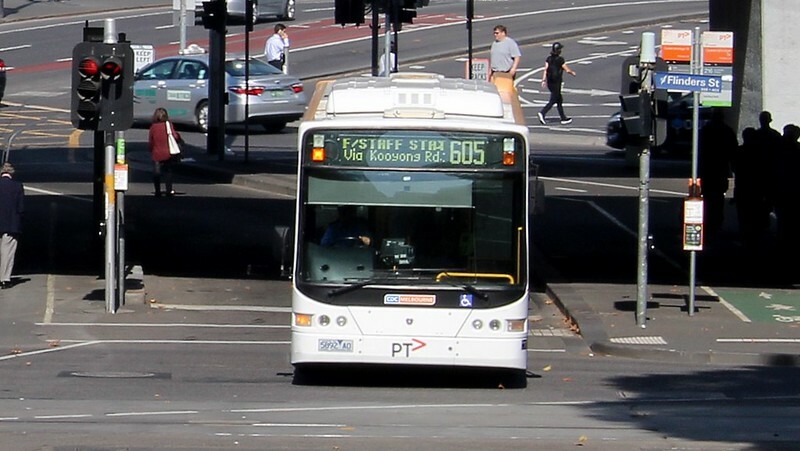 Bus route 605 was recently changed at its City end, to run via the Botanic Gardens, Southbank and Queen Street to Flagstaff Station, instead of the old route via Flinders, Queen, Lonsdale and Exhibition Streets. What’s with the southern end of the map, going off in two directions at once? From the timetable it appears that outbound it goes along Gardenvale Road, and terminates near Nepean Highway. But inbound it starts on North Road, some distance away – presumably the bus runs empty from the outbound terminus to the starting point. Perhaps they kick all the passengers off on Gardenvale Road? It would seem more logical to run this, and show it on the map, as a loop, as at the City end. Anyway, this modified route resulted in some interesting abbreviations on the destination display. Citybound it’s going to “F/STAFF STAT”. Is this very meaningful to people? I’d have thought simply “Flagstaff” means more to Melburnians. True that can mean the station or the gardens, but they are adjacent to each other. You could also abbreviate Station to Stn, though this can be problematic if rendered in low resolution capitals – STN can be misread as STH (South). In both directions, the bus is going via “ROYAL BOT GDNS”. Edit: Some buses have smaller displays, meaning it’s further abbreviated to “ROY BOT GDNS”. Reminding people that it runs via the Botanic Gardens would have been important when transitioning to the new route. But I’m not sure this is very clear. Perhaps it should have said via “Botanic Gardens”? Or choose another nearby landmark and simply say “Shrine”? Not that this bus route specifically should be singled-out. 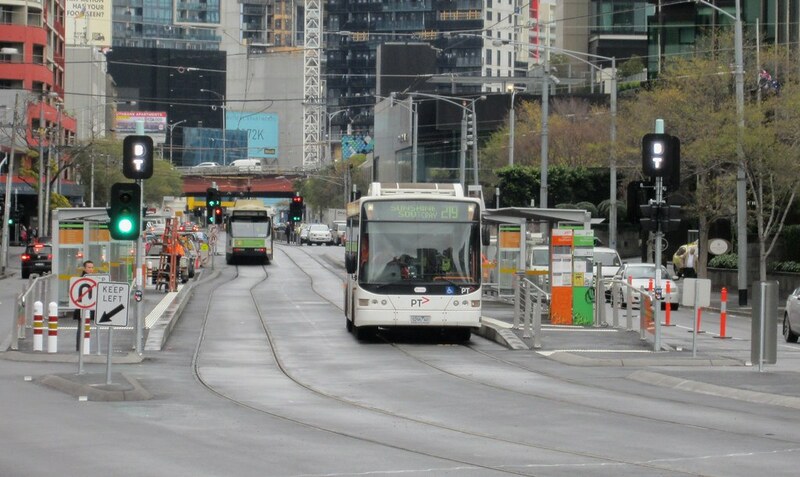 For decades, southbound 78 trams proclaimed they were going to “Prahran”, which they pass through about 2km before terminating down in Balaclava. They now say “Balaclava via Prahran”. Squeezing information that is meaningful yet brief is an ongoing challenge for public transport destination boards, so I’m sure there are other destinations and abbreviations around the place that are a little vague. What potentially confusing ones have you seen?